A comprehensive guide on everything dabbing–how it works, what to use, and what to buy. 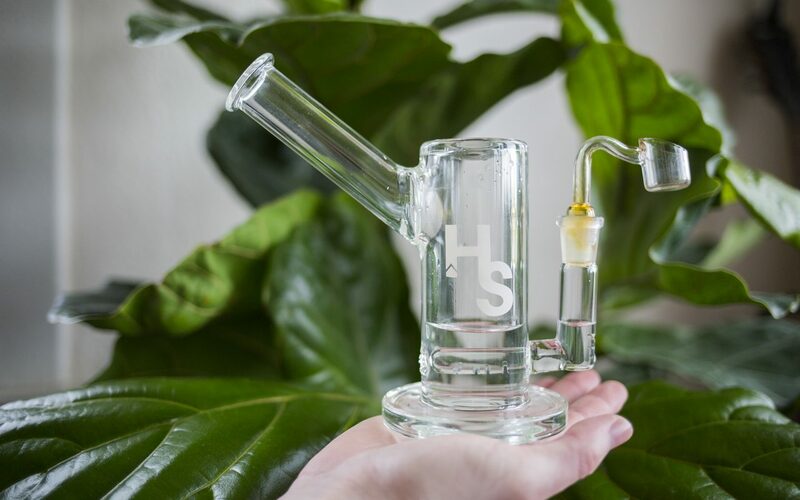 Not long ago, flower pipes were the only form of borosilicate glass carried by retailers, but these days, you’ll find shelves lined with rigs designed exclusively for concentrates. Although there are many similarities between traditional pipes and dab rigs, there are a few features that set dab rigs apart. In this guide, you’ll learn just what those differences are, as well as how to select the right dab rig based on your personal preferences. The basic function of a flower pipe involves the use of a bowl, which baskets the flower for combustion. When dabbing, however, concentrates are flash vaporized on a hot surface—the most common of which is a nail. Nails are like bowls in that they’re the entry point, where vapor is initially created before being channeled through the rig. But unlike bowls, a nail must first be heated before you apply your dab. Most dabbers do so with a small torch, such as a culinary torch for crème brûlée. Once the nail is hot, the concentrated is applied and bursts into a plume of vapor to be inhaled through the pipe. The dab rig you purchase may come complete with a nail, but if it doesn’t or you’re interested in exploring other types, check out Leafly’s guide to choosing the right nail. One feature you may notice when shopping for your first dab rig is that they tend to run a lot smaller than water pipes meant for flower. This is because concentrate vapor has a tendency to condensate when cooled. The more room vapor has in a glass rig, the more likely cannabinoids (i.e., THC, CBD) will be lost due to cooling. Dab rigs typically have smaller chambers to mitigate this issue, and you’ll almost never see a table top dab rig with the behemoth chambers of a bong. Keep size in mind if you plan to convert your old water pipe into a dab rig by adding a nail attachment. Does Percolation Matter With Dab Rigs?